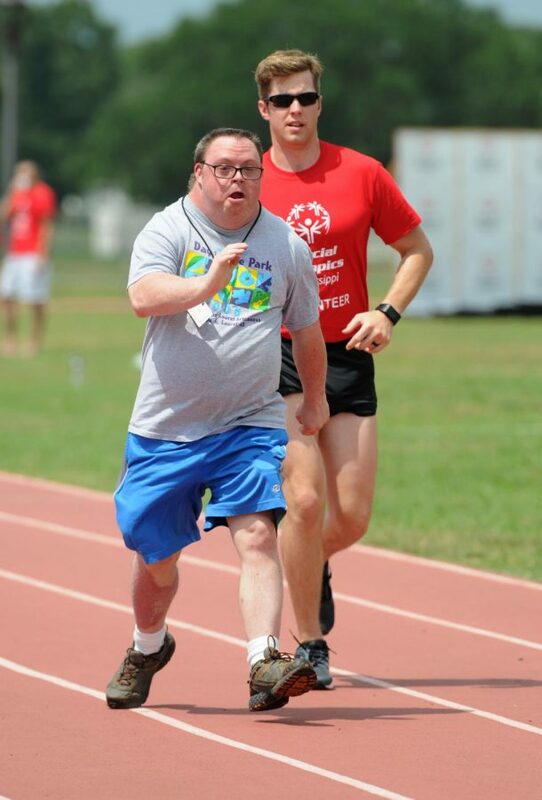 A participant and a volunteer running in a Special Olympics race. Last week, it was reported by many news outlets that the Department of Education, led by Secretary Betsy DeVos, proposed a budget that would eliminate millions of dollars in funding for programs that benefit students with special needs. The biggest program being affected is Special Olympics. According to an article from CNN, DeVos herself didn’t propose the budget cuts, but the department had a difficult time fitting the $18 million in funding for the program within the White House’s budget plans and was continuously rejected by the department of management and budget. DeVos testified before Congress defending the cuts and faced an enormous amount of backlash for the administration’s actions. I agree with this statement wholeheartedly. We have seen the numerous attacks the Trump administration has unleashed toward a wide range of people, largely targeting immigrants. However, it seems as though the attacks have now shifted towards special needs students. This budget cut is all to support the funding of his highly talked about and controversial border wall. I don’t think DeVos and the Trump administration realize the damage they are causing students with special needs around the country. Special Olympics is the world’s largest sport organization for children and adults with disabilities, both intellectual and physical. Special Olympics give these people a chance to feel like they belong. The programs they are offered give them an equal opportunity to succeed along with their other peers and it is unfair and dehumanizing that DeVos just feels it is okay to push them aside. My brother, Michael Kukla, is a NEIU graduate student and working towards earning his masters of school counseling, works every day to help take care of students with developmental disabilities. I see the smiles on the participants faces that he works with at the Special Olympics every year. They are excited at the opportunity to not only have fun, but surround themselves with their fellow classmates as they are cheered on in every event. To think that someone wants to take that away from them is atrocious. Special Olympics allows these students to interact with other kids of a similar background and students without special needs are able to befriend and offer their support for their special needs classmates. This integration of students is essential to allowing special needs students the ability to feel like there is nothing wrong with who they are. Amidst all the backlash, on Thursday, March 28, Trump told reporters that he had overridden DeVos and Special Olympics will be funded after all. This just goes to show that with a strong body of Congress we can take control and fight back against the atrocities of this administration. We only have a year to go (hopefully), so I hope Congress continues to challenge this administration’s ideas and does their part to help the citizens of this country, especially the ones who need it the most.